I help homeowners, who are selling their properties, to create a feel and flow through artful staging. I invite clients to arrange their homes in a manner that focuses on the potential buyer. 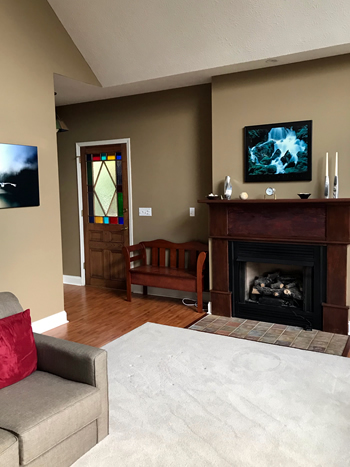 Using the powerful tools of Feng Shui: the Bagua Map and the Five Elements, I encourage clients to appoint their homes for balance and harmony, to especially enhance and affirm with specific belongings the domain of Helpful People and Travel as it relates to their home and their lives. I educate clients about the Bagua Map and ways they can use it during the staging process to produce optimal results-the efficient sale of their home for an excellent price. I also educate clients about the Five Elements and ways to use this tool when staging a home. Often potential buyers feel and experience the harmony and balance of a home even if they don’t know why. Integrating the Five Elements into each room of the home as well as the outside and inside entrance often creates this optimal energy experience for potential buyers. I encourage clients to courageously let go with dignity and grace. Bringing this deeper intention to the experience of selling a home often allows for meaningful closure. This process can be especially important for a long-term, beloved home. Boxing up or relocating personal items, releasing clutter, and deep cleaning are foundational steps I strongly encourage clients to implement. This becomes the foundation for the optimal arrangement and enhancements Feng Shui inspires. The process of creating welcoming rooms that allow buyers to envision their belongings in the space produces optimal results for buyers and sellers alike. It becomes a win-win experience for all involved.